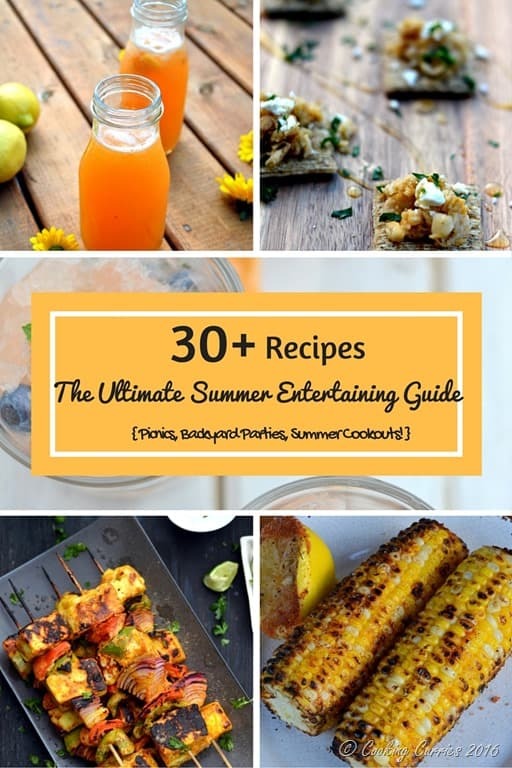 The ultimate guide to summer entertaining with all the recipes you need to be the best host and to make sure your guests have a delicious time at your party! 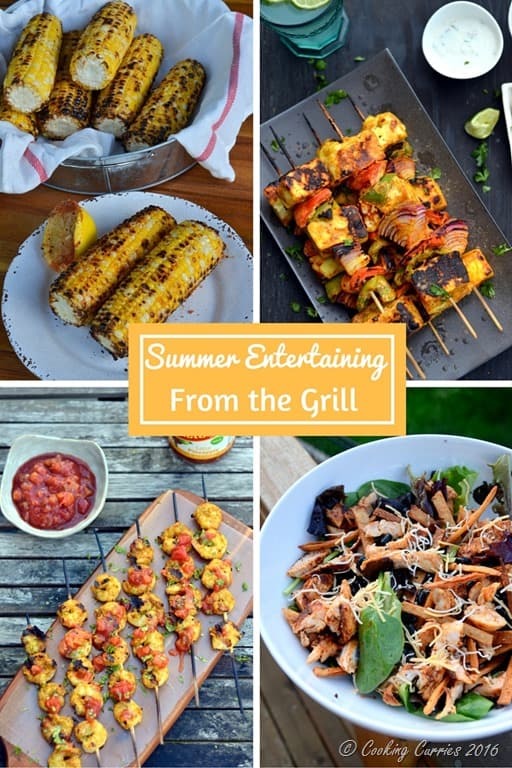 Summer is the time for backyard parties, picnics, cookouts and lots more. 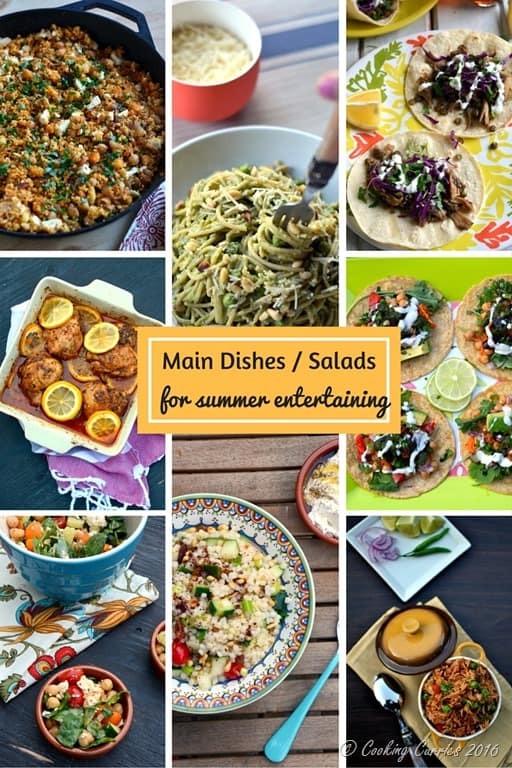 I have put together some of my favorite dishes from cocktails and lemonades to entertaining essentials from the grill to appetizers to main dishes and salads to some really fabulous desserts, all that scream summer. 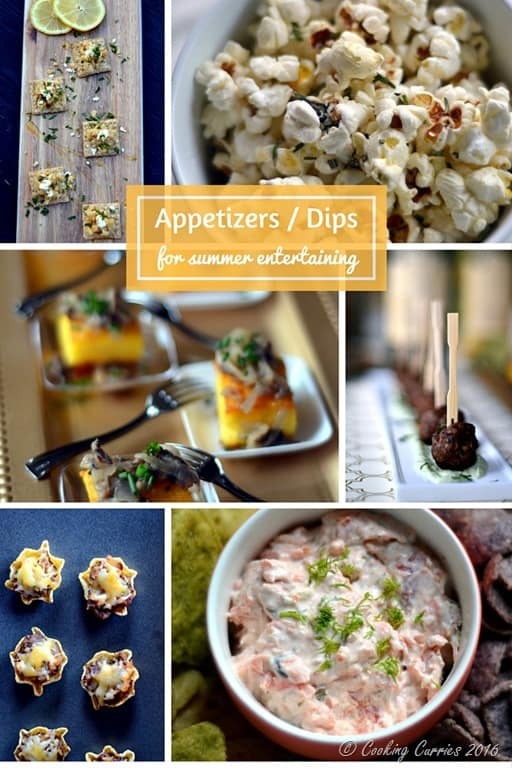 Delight your guests by throwing the most delicious party on the block! 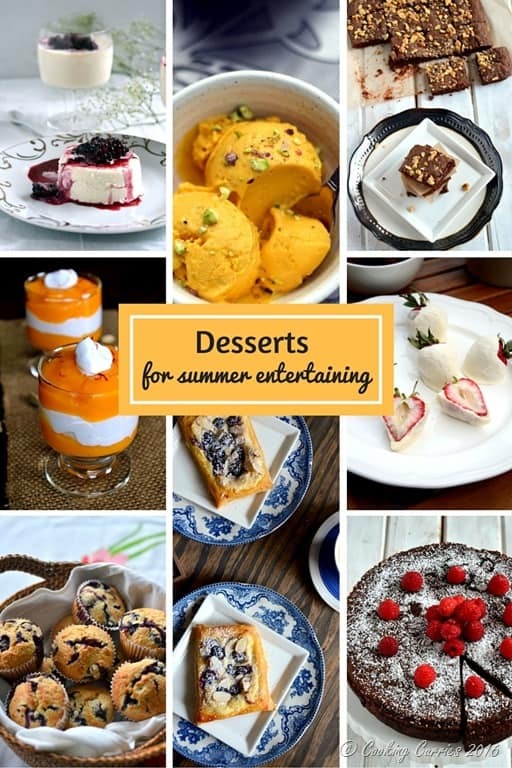 Great ideas to have a resource like this.Some excellent recipes here like the Vegan mango ice cream. Thanks Bintu! We love that vegan mango ice cream! What a lovely list! 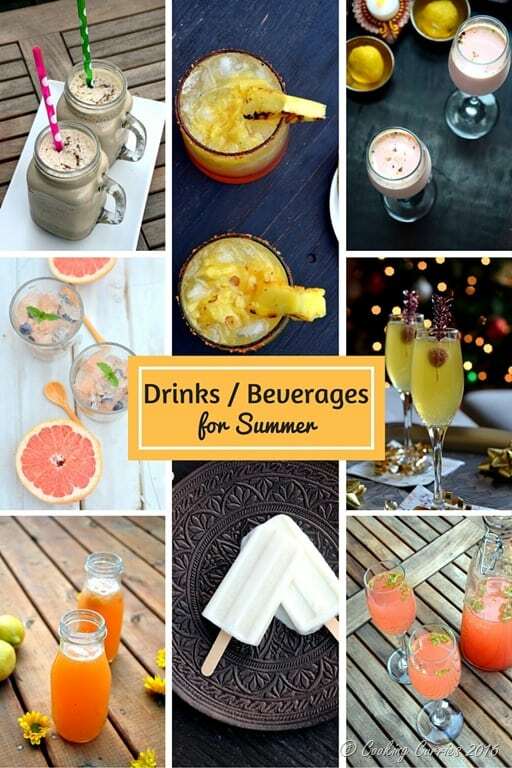 I like the wide range of flavors – something for everyone, or a tantalizing mix. Love this list! So many awesome recipes here. Ginger tamarind shrimp and truffle rosemary popcorn sound the best! Thank you Igor!! Those are favorites here too! You are a lifesaver. I have guests and am so bored with my own cooking that I want to climb the walls. This is a wonderful resource with so much variety! Thanks for sharing. Thank you Razena! We all have those days, don’t we?!? I find myself constantly looking at other blogs for ideas and love it when everything is in one place, so I thought why not make one for myself ? So glad it could be of help to you! So much deliciousness to choose from here. That corn looks amazing!